Harold and Lucille Hargrave's lives have been both joyful and sorrowful in the decades since their eight-year-old son, Jacob, died tragically in 1966. In their old age they've settled comfortably into life without him…. Until one day Jacob mysteriously appears on their doorstep—flesh and blood, still eight years old. All over the world people's loved ones are returning from beyond. No one knows how or why, whether it's a miracle or a sign of the end. Not even Harold and Lucille can agree on whether the boy is real or a wondrous imitation. But as chaos erupts around the globe, the newly reunited family finds itself at the center of a community on the brink of collapse, forced to navigate a mysterious new reality. With spare, elegant prose and searing emotional depth, award-winning poet Jason Mott explores timeless questions of faith and morality, love and responsibility. 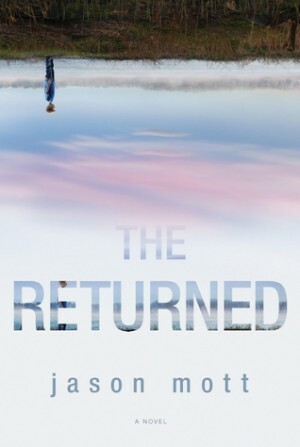 A spellbinding and stunning debut, The Returned is an unforgettable story that marks the arrival of an important new voice in contemporary fiction. I just didn’t care about any of the characters, and that’s kind of sad because this book really needs you to be emotionally attached to them in order to feel anything for what happens. Alas, Harold, Lucille and many of the other characters were just so flat that I found myself wondering, more than once, how much I had left until the end of the book. I should also point out that most of the book takes place in a very small town in the US, filled with the kind of people whose parents and grandparents were ‘deeply committed to racism’. So. Much. Fun. Phrases like ‘coloured people’ and the ‘coloureds’ are dropped into the dialogue like it’s no big thing but dude, I just found it increasingly grating and it definitely contributed to my inability to care about anything that happened in this novel. Let’s not forget that these characters are also deeply religious, which meant that there were a tonne of fun scenes in churches in which everyone shouted about damnation and Hell, and it all just felt a little bit too much like bible belt race relations tbh. I’m not sure if this was actually meant to be a parallel but if it was, it was just not done well enough. Rather than a true parallel filled with meaning, the writing just doesn’t feel self-aware, if that makes sense. It reads like unconscious nostalgia and it made me really uncomfortable. These characters are presented as good people but nearly all of them come across as borderline racist, deeply religious and very narrow-minded – not a good combination at all. I also found the switch between POVs really jarring, and the change in font was unnecessary and annoying. There were smaller stories interspersed throughout the novel about the Returned all over the world and while I liked a few of them – the story about the Nazi teenagers being protected by Jewish people old enough to remember the Holocaust was especially poignant and would have made a better story than the main one – what was the point of them? I just don’t know. 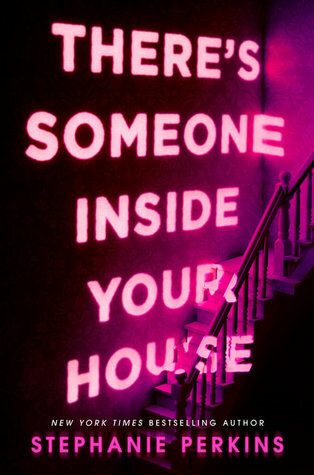 I wouldn’t go into this novel expecting answers because you will find yourself disappointed. The phenomenon of the Returned is never explained but is rather, annoyingly, brushed under the carpet because ~miracles~ and the ending of the book was so ridiculous I actually laughed. Look, I love novels about philosophy and the question of religion but this book seems to expect the reader to take everything at face value and not question anything which I just cannot do. Do not recommend. I’m surprised you still gave this two stars. Great review! I’m following you guys on Goodreads, GFC and Twitters. I will appreciate if you will follow me back. Have a great weekend.